The Laser Institute of America holds the next every-two-years International Laser Safety Conference on March 18-21 2019 near Orlando. The Embassy Suites by Hilton Lake Buena Vista South hotel is at 4955 Kyngs Heath Road in Kissimmee, Florida. It is 20 miles southeast of Orlando International Airport, and about 6-10 miles from Walt Disney World attractions such as the Magic Kingdom, EPCOT, Disney's Hollywood Studios and Disney Springs. ILDA is a Cooperating Society, and ILDA Members receive the discounted LIA member registration rate. Early registration is $775 for LIA (and ILDA) members through January 14, 2019. This is for the full conference; multi-day and single-day registration is also available. 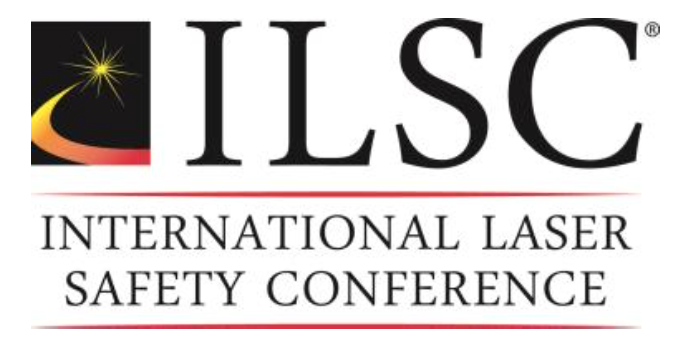 Here is a link to the discount code that gives ILDA Members the discounted LIA rate: http://www.ildamember.com/ILSC2019. This page is password-protected so only current ILDA Members can access it. While most of ILSC is about medical, research, industrial and military laser safety, there are usually three or four papers about laser display and consumer lasers (pointers). There also is a joint meeting of the ANSI Z136.10 committee working on safety standards for laser display. In past years, laser display industry attendees have included ILDA’s Executive Director and the Safety Committee chair (who have frequently presented papers), plus ILDA Members wanting to attend sessions, work on ANSI Z130.10, and network with laser safety experts. Note that there are no laser safety officer courses taught at ILSC. Instead, it is a scientific conference with educational sessions and papers being delivered and discussed. For more information, visit the Laser Institute of America’s ILSC website.